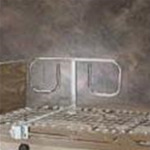 Affordable 3-position (up, middle and down), telescoping bed rails offer quality and durability. Self-adjusting, spring-loaded cross braces snap easily into place for quick, tool-free installation. 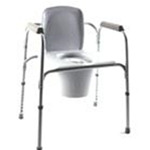 Durable (7/8)" chrome, 2-year limited warranty. 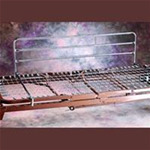 130 bubble cells (meets Medicare Guidelines) with flaps under the head and foot so the bed doesn't slide. 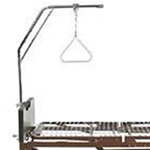 Provides soft support and pressure relief for Full-size bed. Available in 3 different heights: 2", 3", and 4". Also available in Twin, Queen and King sizes. Provides soft support and pressure relief for King-size bed. Available in 3 different heights: 2", 3", and 4". Also available in Twin, Full and Queen sizes.